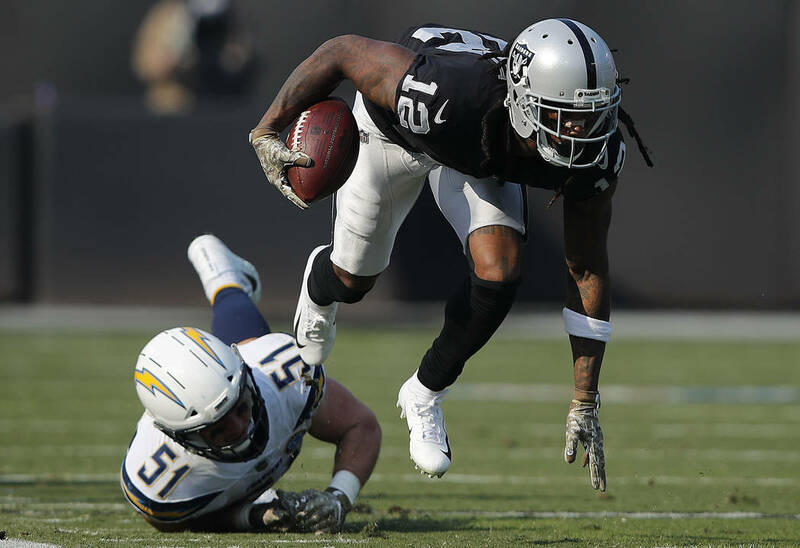 Raiders wide receiver Martavis Bryant has been placed on season-ending injured reserve, part of a rabid Wednesday wave of transactions. Safety Reggie Nelson and defensive end Shilique Calhoun also were placed on IR. 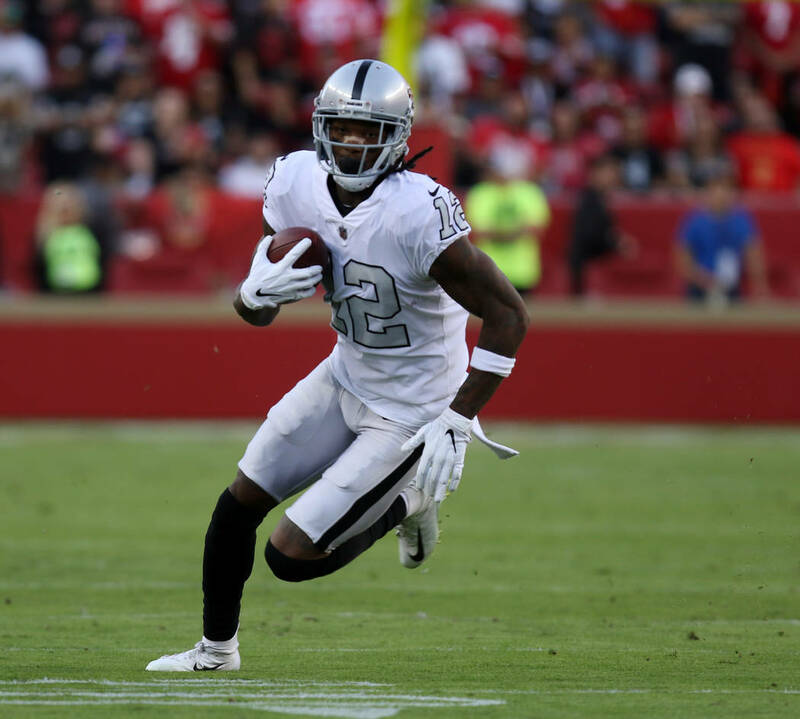 ALAMEDA, Calif. — Martavis Bryant won’t face his former team Sunday, or the three that follow. 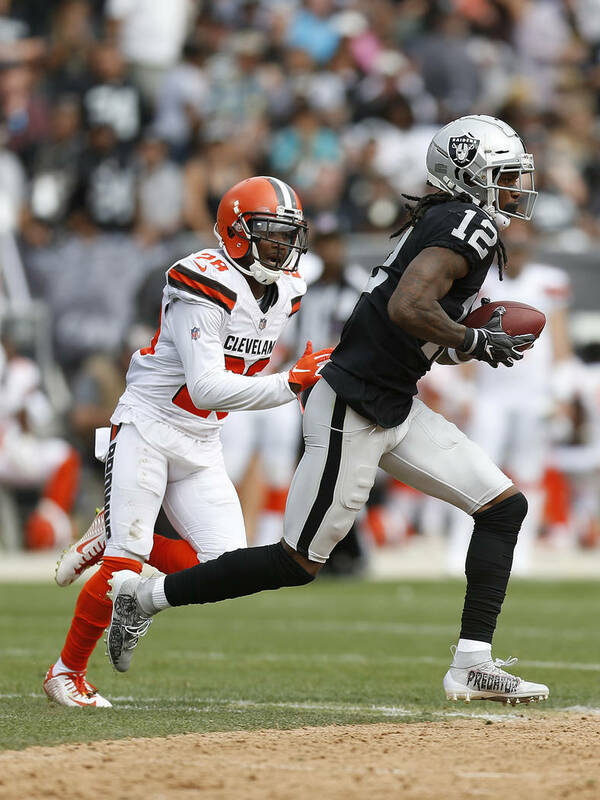 The Raiders wide receiver has been placed on season-ending injured reserve, part of a rabid Wednesday wave of transactions. Safety Reggie Nelson, a three-time co-captain, and defensive end Shilique Calhoun were placed on IR, too, with shoulder and neck injuries, respectively. Three additions also became official. Defensive end Kony Ealy, running back C.J. Anderson and cornerback Bene Benwikere joined the roster. All these moves followed an active Monday in which former Indianapolis Colts offensive tackle Denzelle Good was claimed on waivers, and defensive end Fadol Brown and offensive lineman Ian Silberman were waived. “We’ve had a busy couple of days here,” coach Jon Gruden said. For Bryant, it was eventful from the start. The Raiders acquired the 6-foot-4-inch deep threat April 26, sending a 2018 third-round pick to the Pittsburgh Steelers. He played three seasons and served a 2016 suspension. Upon joining Oakland, Bryant dazzled and disappointed, demonstrating his speed and game-breaking ability at times in practice but struggling to master the playbook and build consistency. On Nov. 11, Bryant suffered knee ligament damage against the Los Angeles Chargers. On Friday, despite not practicing for three weeks, he was listed as questionable to appear versus the Kansas City Chiefs. His status was downgraded Saturday to doubtful. It’s unclear if he experienced a setback, but it’s fair to wonder what might have been. “Oh, my goodness,” quarterback Derek Carr said. “There is a lot of potential there. Potential is a tough word in the football business. He definitely has potential. He has something that a lot of people don’t have. I think we’ve all seen that, especially in camp. Hitting him on some deep balls, hitting him on some big, explosive plays. Even in games that we have played together, hitting on some big plays. Bryant finished 2018 with 19 receptions on 26 targets for 266 yards. His contract is scheduled to expire in March. In his absence, the Raiders will continue to rely on rookie seventh-round pick Marcell Ateman. He made his NFL debut Nov. 18, ironically finding success against one of his new teammates. 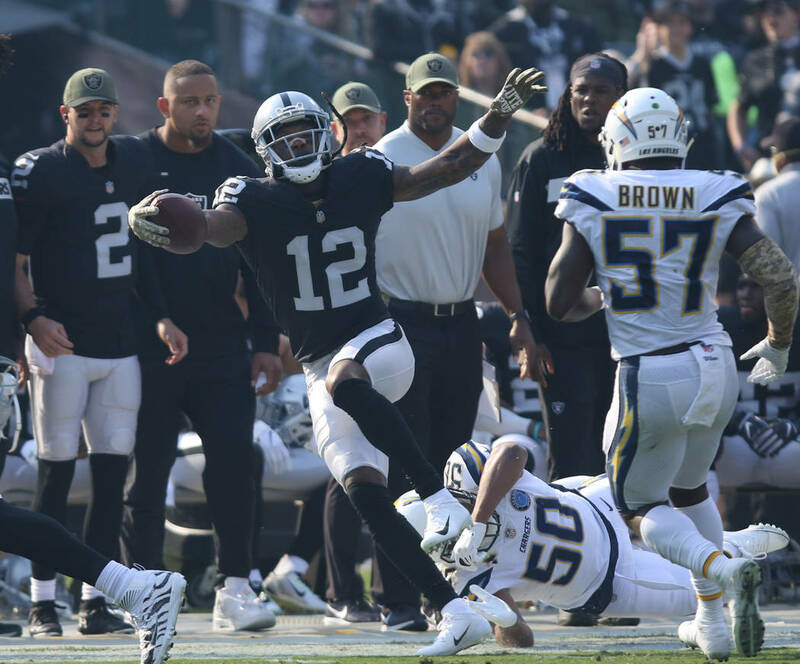 Benwikere was in coverage for the Arizona Cardinals when quarterback Derek Carr found Ateman on a 32-yard pass late in the game, helping to set up the go-ahead field goal as time expired in the Raiders’ second win. Ateman scored his first touchdown Sunday in a 40-33 loss to Kansas City. He big-bodied Chiefs cornerback Steven Nelson, resemblant of plays dating to Ateman’s college career at Ohio State. Ateman is further solidified as the starting “X” receiver with Jordy Nelson at the “Z” spot and Seth Roberts predominantly working from the slot.